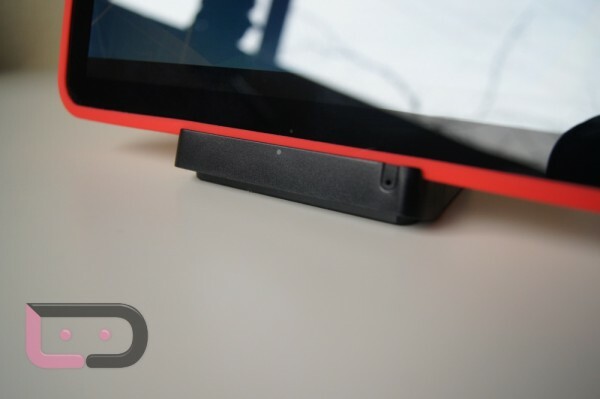 Finally, the last of the XOOM accessory reviews so that we can get onto the actual device. We’ve already covered the Bluetooth keyboard and Portfolio/Gel cases, which all received good marks aside from their steep price tags. The last one we’ll do is for the standard charging dock, an item that we’re having a hard time really getting into. So this standard dock comes in at $49.99 which at first doesn’t seem too expensive, but then it shows up and you start wondering exactly what you just paid for. 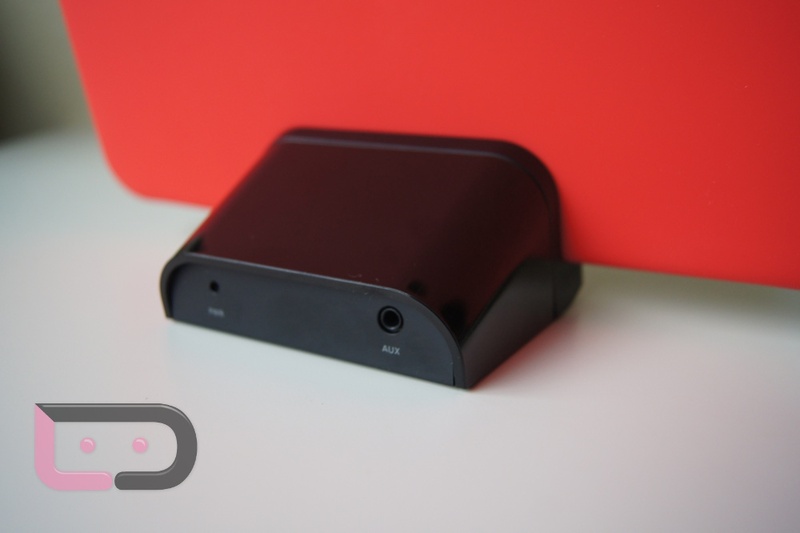 On the back, you get a charging port and an AUX output so that you can hook your XOOM up to your stereo/set of speakers. No HDMI-out with this little guy though. You also can’t get to the HDMI port on your device because it’s covered up while docked. Basically, you get a dock that charges your XOOM while also allowing it to stand up at a decent angle for viewing and will set you back $50. The AUX output seems like a waste, since the device supports DLNA, although it could come in handy…somewhere…I just don’t know where. I like having it as an option to charge my XOOM when it’s sitting on my desk, but the viewing angle is a little too steep. Fortunately I have the Bluetooth keyboard or this thing would be really, not-so-awesome. So if you want HDMI-out, then you’ll have to step up to the $129 speaker dock, which most of us would struggle to justify as a purchase to anyone. You don’t need a dock to hook your XOOM up via HDMI to a TV and you sure don’t need a dock with questionable speakers when you can DLNA all of your media right through your home stereo system. This is one of those accessories that I’d probably tell you to pass on, unless of course you have an unlimited supply of cash and just like owning it all. Random Analyst: Honeycomb was made "by the Geeks, for the Geeks and of the Geeks"